The Payette Lakes Fine Art & Craft Fair has been bringing unique local and national artists to the City of McCall, Idaho for over 25 years. This outdoor, juried, Fine Arts event presents an opportunity to talk with and purchase Art directly from the Artist, experience live music, and enjoy a variety of food vendors under a shaded picnic area. We pride ourselves on the vendors, featuring over 75 artists from across the country who produce every piece for sale. 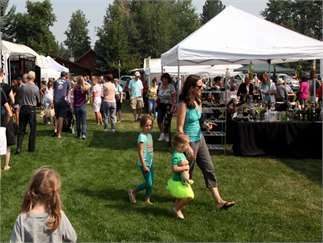 The festival takes place the 3rd weekend in August in Fairway Park, next to the golf course on Davis Creek. This family event is Free to the public since 1990, with parking available on site.